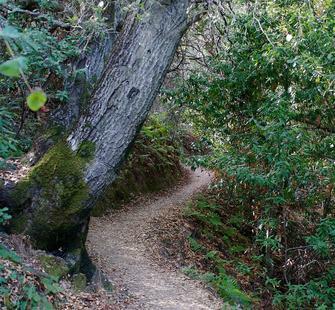 A walking tour of the historic Villa followed by a hike on Montalvo's trails. Led by a skilled docent volunteer and a Santa Clara County Park Ranger. Learn about Senator Phelan and the history of the Villa, and enjoy a guided nature hike on the trails behind the arts center. Tour includes steps and grades, and will go indoors and outside. Wear closed walking shoes and layered clothing for your comfort. Tour lasts approximately 2 hours.